From swift discoverability and instant access to interactive content and an affordable read, scholarly publishing players are striving to ease accessibility to the ebook. A case in point is Cambridge University Press. When the UK-based publisher launched its academic platform, Cambridge Core, just over two years ago, its intention was to consolidate all of its digital content onto a single platform. Replacing Cambridge Journals Online, Cambridge Books Online and other standalone sites, the new platform became home to more than 360 journals and 30,000 ebooks. As Vicky Drummond, director of online customer experience at Cambridge University Press, points out, consultation with nearly 10,000 researchers, librarians and authors had revealed that reading relevant content was key, be it from a journal article, book or book chapter. What’s more, swift access to this content was imperative. To this end, a search engine was developed to swiftly direct researchers to relevant content, with clear indicators then showing exactly what content they could have access to. Researchers can now view content in HTML, download it as a PDF, and also send it to Dropbox, GoogleDrive or a Kindle. And thousands of citation styles are available, so users can collate references according to institution requirements, (see ‘A single platform’). 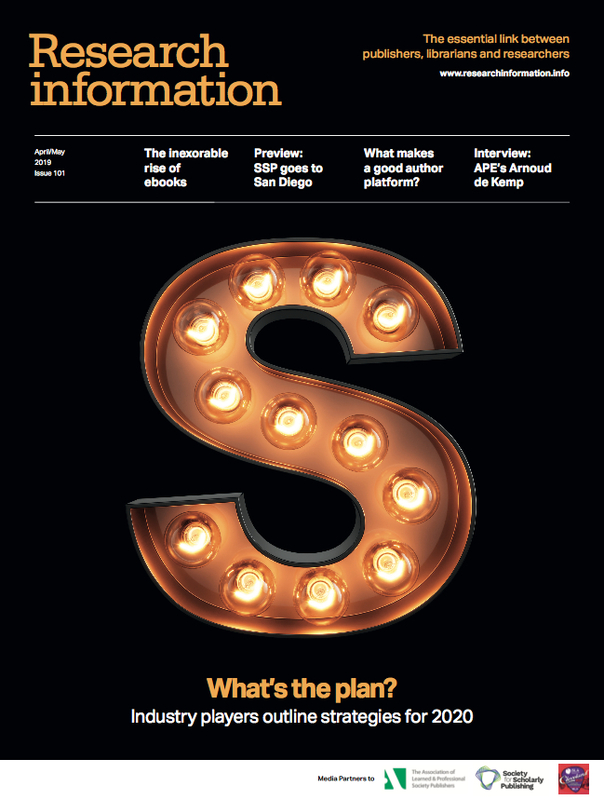 Still, with Cambridge Core in place, both digital article use and chapter downloads have risen by around 25 per cent year-on-year, with user registrations growing every month. ‘We’ve haven’t seen any fundamental flip from print to digital... but digital growth has been impressive,’ says Doshi. 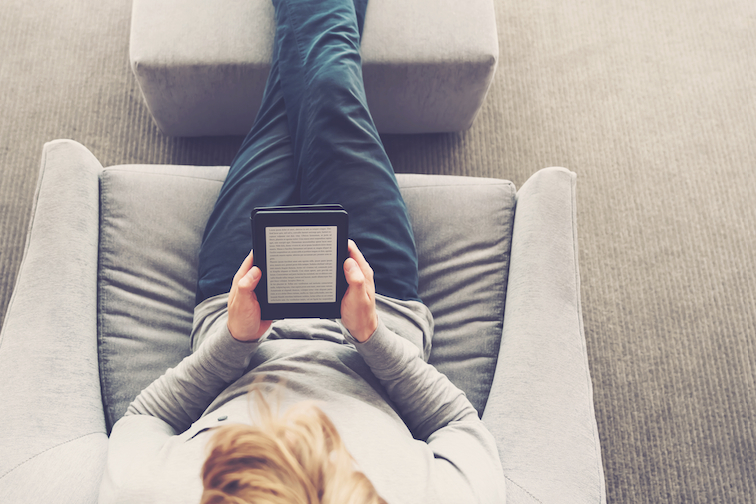 Vanessa Boddington, director of market development at digital content provider, VitalSource, believes the shift from print to digital ebooks is underway. The company’s key market is students and educators, and at the beginning of 2018, some 7.8 million users were accessing e-textbooks from its platform. Yet early this year, user figures had swollen to 15 million. At the time of writing, 1,400 publishers, including industry heavyweights Pearson, McGraw-Hill and Cengage, provide e-textbooks to VitalSource, on a wide array of topics from art and business, to mathematics and technology. Users can download and read content using the company’s e-reader, Bookshelf. And while this content is available in either PDF or EPUB 3 formats, for Boddington, the future has to be EPUB 3. As Boddington highlights, content delivered through the VitalSource platform can have a host of features applied to it such as notes, highlights and citations that are synced across all devices used to access Bookshelf. Students can also share mark-ups with colleagues, search across all e-text books in their Bookshelf collection, and study in ‘Review Mode’, using notes and highlights without the distraction of full-reading mode. ‘When you talk to students they are used to content with audio and video, and they really want to interact with it,’ she adds. Indeed, VitalSource recently worked with the British and Irish Music Association to create content for teaching students how to play musical instruments. VitalSource provided an authoring tool that allowed the association to convert documents from a PDF format to EPUB 3 files, which included videos of musicians playing a variety of instruments, including the guitar. ‘We deliver maths, science, English, business content and more, and it’s all about taking this beyond simply reading the words on a page,’ she adds. In a similar vein, Rich Belanger, senior vice president and general manager of books at ProQuest, is seeing a rising demand for features such as searchability, cite and annotate in ebooks. What’s more, his company will be delivering what he describes as ‘its EPUB online experience’ in the third quarter of this year, and already has more than 200,000 EPUB titles ready to launch. But as industry edges towards feature-heavy formats, the issue of digital rights managements lingers. Still, in response to the growing demand for DRM-free ebooks, most notably from academic librarians, more and more DRM-free content is reaching the scholarly publishing marketplace. ‘For text books, for example, content tends to be available on our platform in read-only format, whereas research content can be downloaded and shared,’ she adds. Shortly after launching Cambridge Core, Cambridge University Press added a content-sharing service to the platform – Cambridge Core Share – designed to allow users to quickly and easily share content. As part of this, authors and subscribers generate a read-only link to, say, a journal article, which can be shared online so that anyone can read the final published version of an article for free. Users can also generate a PDF containing a link to a journal article, so users can more easily share links on, say, ResearchGate and Academia.edu. The publisher is currently looking into extending the service to ebooks. As Drummond also highlights, content authors need to understand the impact of their work, and as such, content use is tracked. ‘We understand that users want to share content, and we want to support this in a responsible way,’ she says. Change is also afoot among the aggregators. In April last year, EBSCO released a DRM-free ebook solution; given the wide variety of content hosted by large aggregators, these businesses had typically struggled to provide DRM-free ebooks. However, EBSCO’s latest system gave publishers the choice to allow some content to be sold DRM-free while retaining protections on other titles. And consequently, libraries could then choose to buy either unlimited-user DRM-free content or a cheaper limited user option when unlimited access wasn’t necessary. As the ProQuest senior vice president, points out, right now, more than 80 per cent of the company’s content has some level of DRM-free access and this figure is set to grow to more than 90 per cent by the end of this year. Clearly, such industry developments stand testament to the slow but steady embrace of the scholarly ebook. Cambridge University Press has hardly been alone in its efforts to consolidate its digital content. US-based aggregator, ProQuest, launched ProQuest One Academic earlier this year to encompass four of its key resources; ProQuest Central, Academic Complete, ProQuest Dissertation & Theses Global and Academic Video Online. Crucially, users can cross-search ebooks, journals, news, videos and more, which ProQuest hopes will lead to more insightful knowledge discovery. And the company believes the platform will lift a huge administrative burden from librarians’ shoulders. Earlier this year, Cambridge University Press launched what it calls ‘a new concept in publishing’. Cambridge Elements provides an outlet for research that sits outside the traditional formats of a book or journal article. Organised in focused series, work of between 50 to 120 pages will be published digitally and through print-on-demand. Crucially, this content will be published in just 12 weeks. ‘This is envisaged as a hybrid between book and journals and the quick, 12-week turnaround really isn’t something you see in traditional book publishing yet is so important to authors who want to get their content out there, and readers who want up-to-date content,’ says Doshi. Seventy series are already under contract on topics ranging from electronics to ancient Egypt. A total of two hundred individual texts are expected to be published this year; the publisher then expects to publish some 250 texts in every subsequent year.